Pillaging. Plundering. 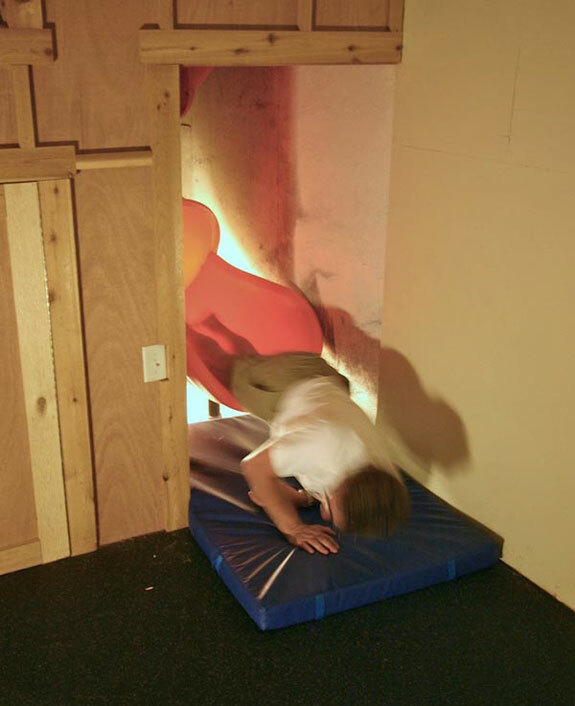 Wearing baggy pants. 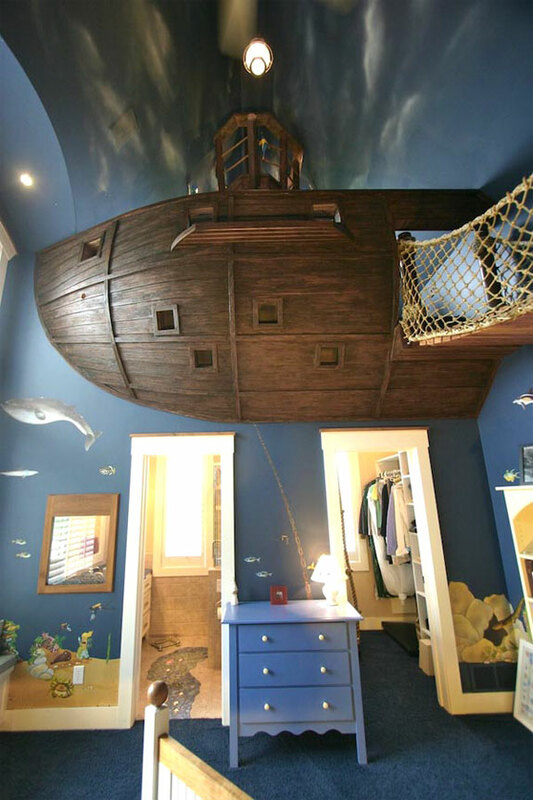 Arr, there’s good inspiration for a bedroom. 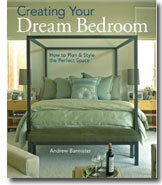 Or so though thought Steve Kuhl, founder of the aptly-named Kuhl Design & Build remodeling company based in Minnesota, who had the task of creating a dream bedroom. The design theme Kuhl and his client decided on: pirates! 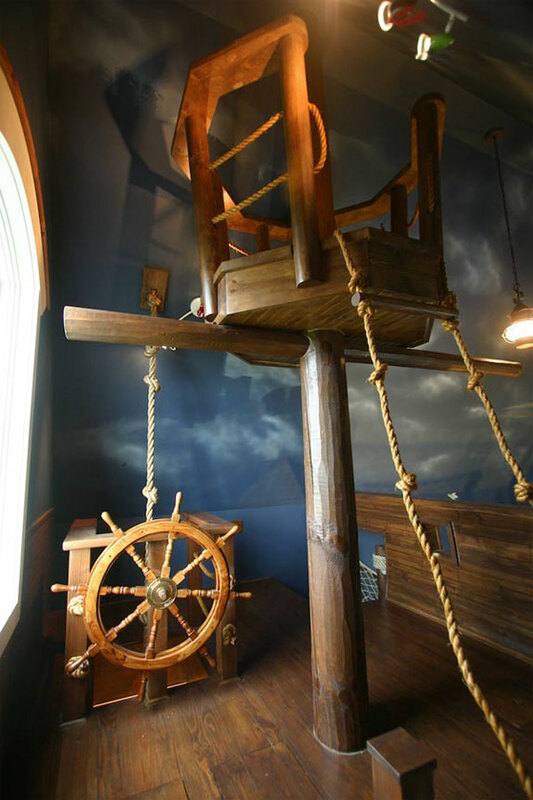 Central to this pirate bedroom—and to any good pirate adventure—is the ship. It’s made from aged timber and perched up in a corner of the high-ceilinged bedroom. There’s a crow’s nest to climb on and a second bed for guests (who, we imagine, would not be in short supply with a bedroom this cool). 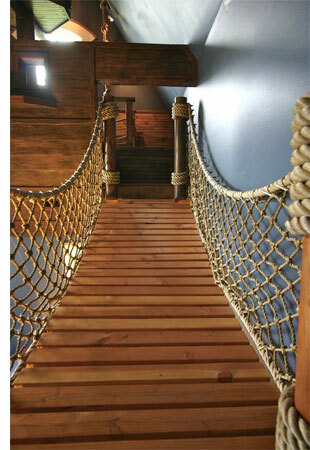 The most obvious way aboard the ship is by way of a ladder and suspended bridge. 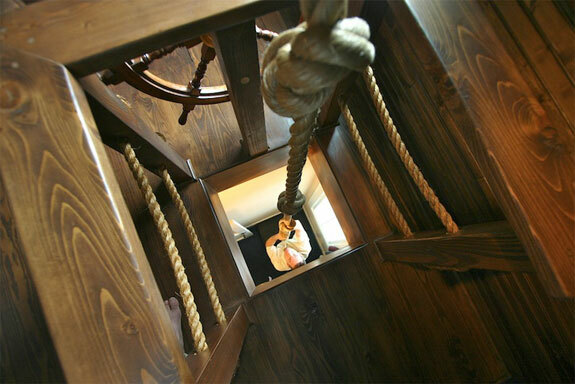 There’s also a climbing rope that drops from behind the classic ship steering wheel down to a closet. 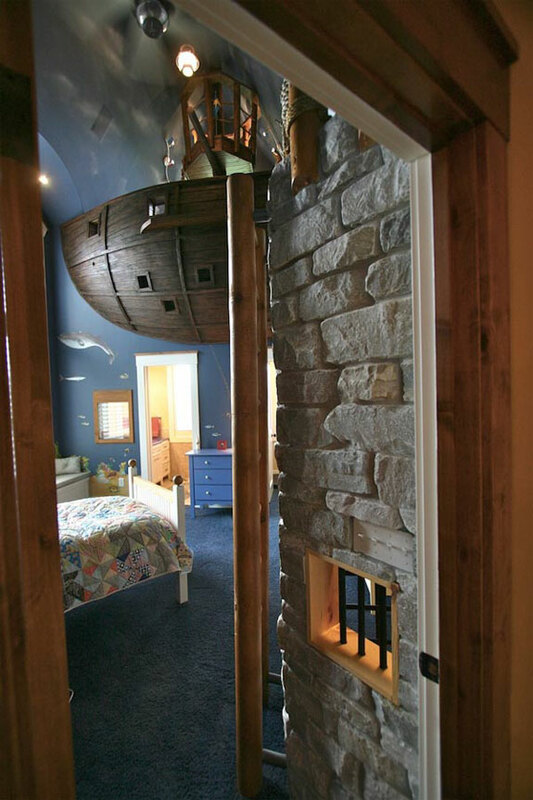 Other design aspects of this scallywag’s bedroom: a sky and underwater decorative motif on the walls and a small brig (perfect for locking up siblings). 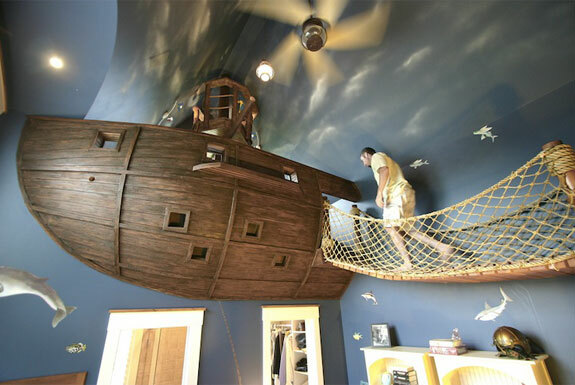 But perhaps the coolest feature of this bedroom, if not particularly pirate-themed, is a slide behind a hidden panel. 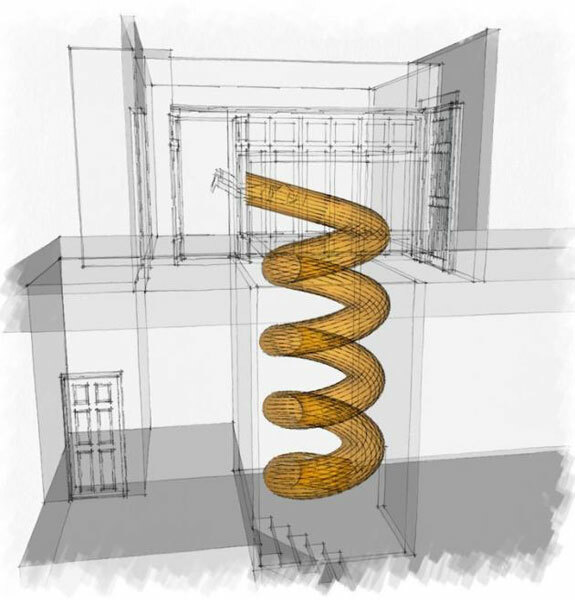 Jump into the slide and you’ll loop around four times before being dumped out into in a side room two floors below where you started. It’s all enough to make you wear an eye patch, get a parrot for your shoulder—and wish you had parents with this much creativity. I’m thirty something and I’m a female, and I totally feel the same way. 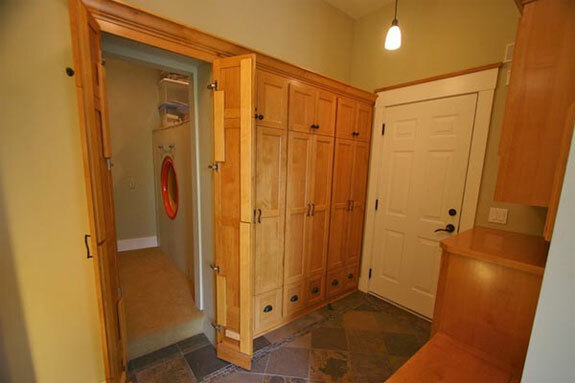 Wow…I know that I’m an adult, but I would definitely want a room like this! Truly amazing!